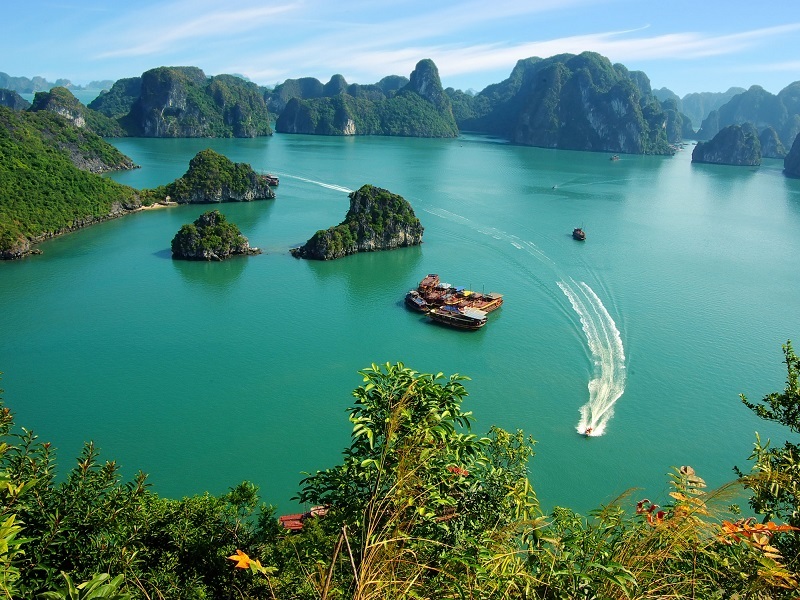 One night on boat and another on bungalow will offer you the most joyful impression of Ha Long bay and Lan Ha bay. 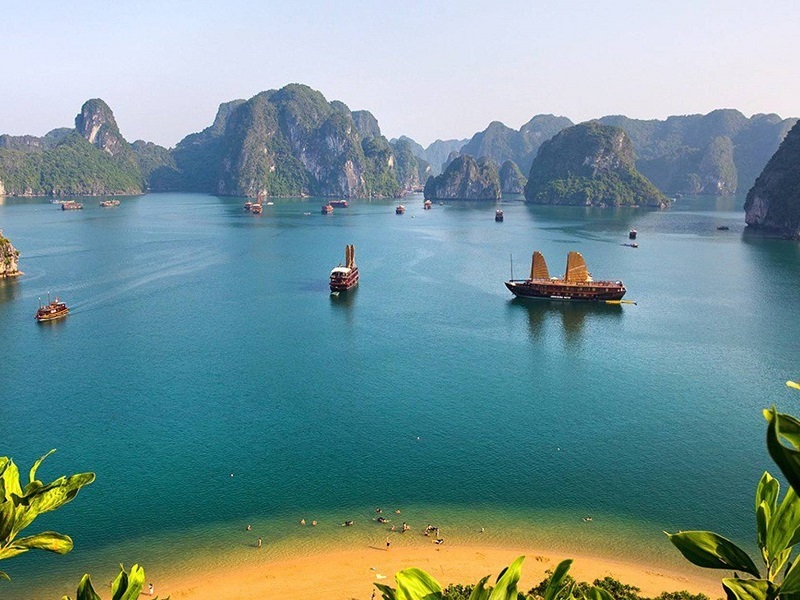 Here, you will have chance to indulge yourself in the blue water, do kayaking around the landscape, explore the mysterious beauty of Ha Long bay and Lan Ha bay. 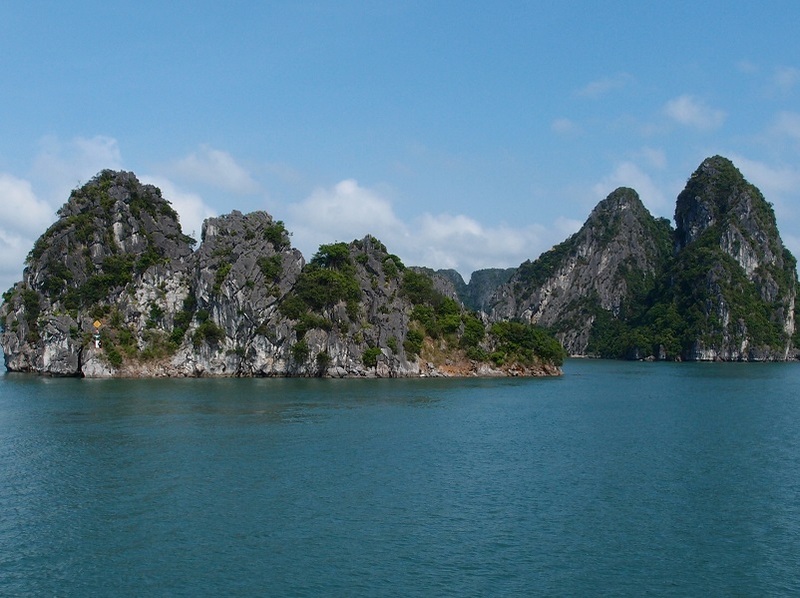 •	Amazing limestone formations of Ha Long bay. 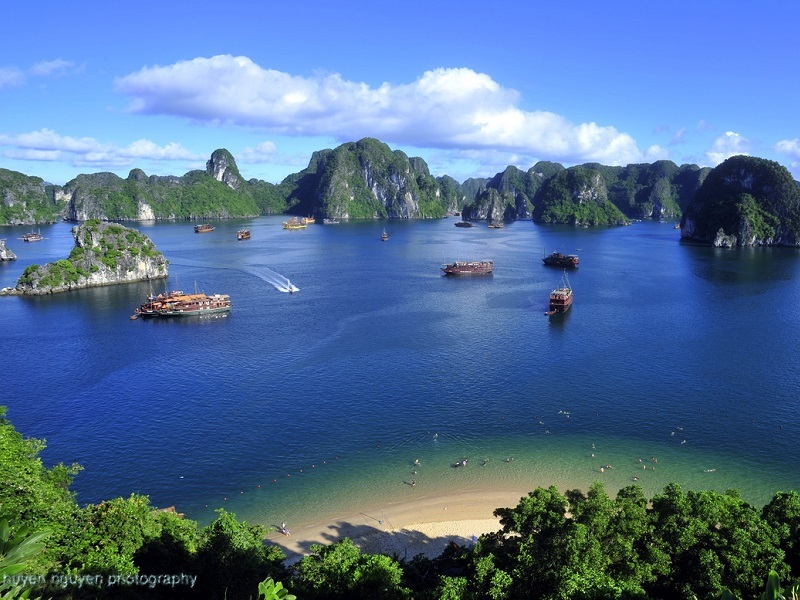 •	Visit the stunning caves of Halong bay. •	Cruise between hundreds of scenic islands and islets. 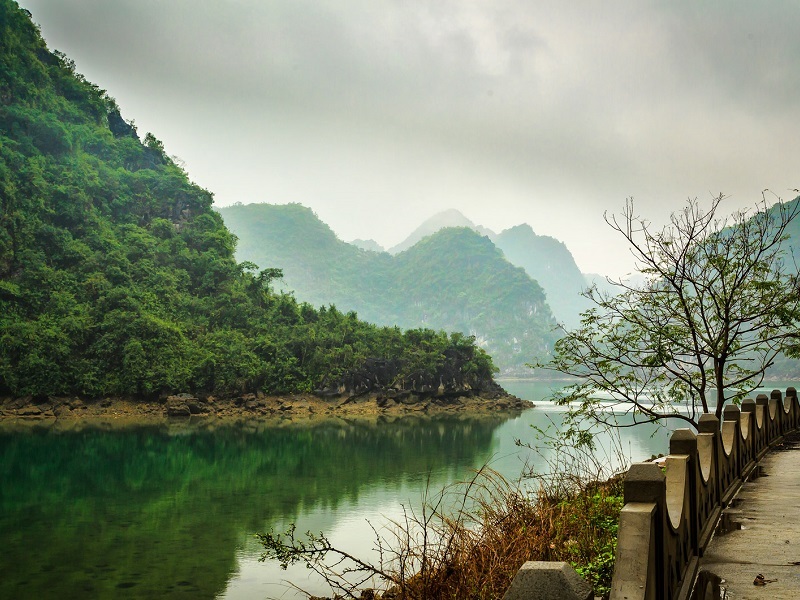 •	Enjoy a bicycle journey through Cat Ba national park. •	Take the opportunities to kayak and swim around the bay's gorgeous waters. •	Indulge yourself in the beautiful private beach. 8:15 - 8:30: Pick you up at your hotel and transfer to Hoa Lu (2,5 hours). 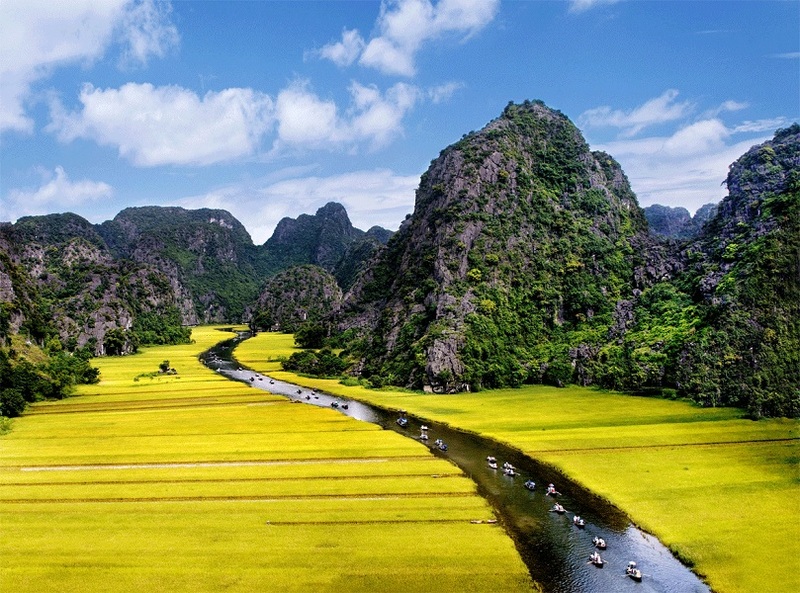 Visit the historic capital of Vietnam and the famous ancient temples of Le and Dinh dynasties. Have lunch at local restaurant. 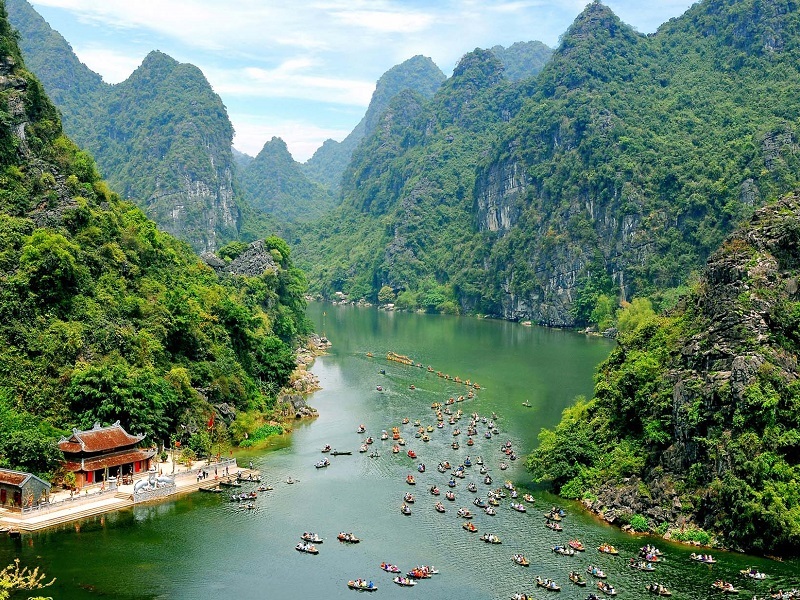 After lunch, take a rowing- boat trip to visit Tam Coc (three grottoes) to see the beauty of the karst formations as you pass along their base and row into one of the many caves carved through the limestone. Drive back to Ha Noi and drop off at your hotel around at 18:00. Overnight in Hanoi. 8:15 - 8:30: Pick up at your hotel and leave Hanoi for Ha Long city. Get on Imperial cruise and enjoy a welcome drink and lunch of savory local sea food. 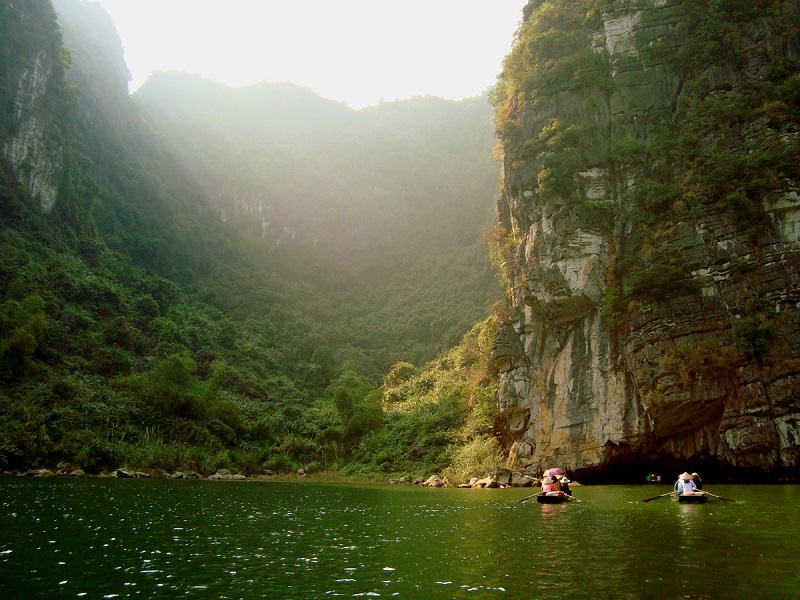 Check into your cabin and start cruising around the bay to see the amazing karts with different formations: Lion, Tea Pot, Toad, Dau Nguoi (Human Head) islet, and then stop to visit Sung Sot cave “Amazing Cave”. There will be plenty of time for swimming & sunbathing (If weather permitted) after the boat anchors at a clean calm sea. Enjoy a wonderful sunset dinner at cruise’s restaurant before retiring to the comfort of your cabin. Overnight on Standard Imperial Junk. 07:45: Light breakfast, tea and coffee will be served. 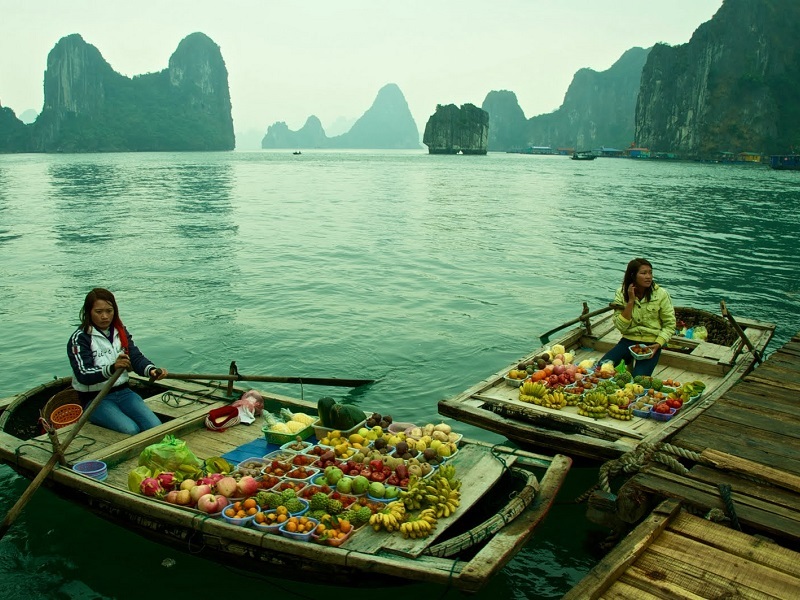 08:30: Start cruising to visit Van Gia floating village and passing by Ha Long pearl farm. 09:30: Take a local boat to Lan Ha bay. 10:30: Biking at Cat Ba national park to visit Viet Hai village, in the valley of the heart of Cat Ba national park. 13:30: Visit Nam Cat Island. Lunch at bungalow at Nam Cat island. 14.00: Swimming or kayaking activities to explore the untouched area in Lan Ha bay. 15:30: Check in the Bungalow on Nam Cat island. Free time for kayaking and swimming in private island. 18.30: Dinner and overnight at resort. Note: Nam Cat is a beautiful quiet island, suitable for pax who love to indulge themselves at the totally calm atmosphere, escape from the bustling and noisy modern life. 06:45: Light breakfast on cruise. 07:15: Get ito the boat and cruise back to Ha Long city. On the way, you have some minutes for swimming at a quiet and clean sea. Lunch on cruise while the cruise is moving to the pier. After lunch, return to Hanoi and arrive in Hanoi at around 16:00. Overnight in Hanoi. Free at leisure. Proceed to airport for leaving flight. End of services.